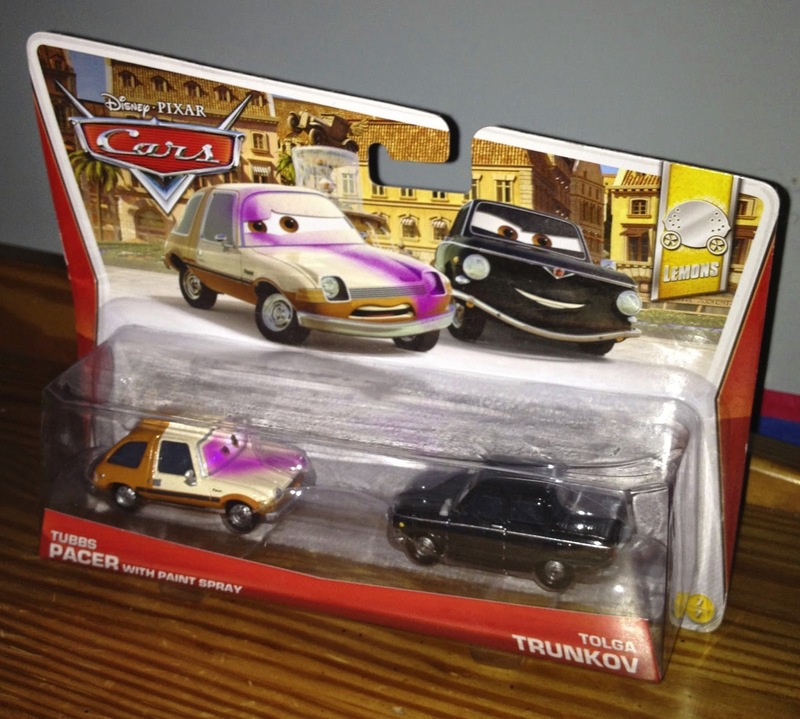 Here we have last year's Cars 2 Tubbs Pacer (with Paint Spray) and Tolga Trunkov "movie moments" 2-pack! This was part of the 2013 "Lemon" sub-series (#7/7). As shown in the screen shot above, Tubbs Pacer is seen getting sprayed with purple paint by Ramone near the end of the climatic London chase scene. Tolga is one of the black Trunkovs seen in the background (he is also seen attending the Lemon meeting in the Porto Corsa, Italy casino).